The concierge service we offer at our Berkshires lodging is something unique to Applegate Inn. We know and love many of the great restaurants in the area, and enjoy helping our guests find the perfect dining experience. If you like Mediterranean food, we might send you to the charming Cafe Lucia where you will enjoy your food in an 1840s farmhouse. If you are hankering for a croque monsieur, the penultimate French sandwich, we’ll probably send you to Chez Nous in Lee. No matter what your preferences, it is our goal to ensure that you leave our Stockbridge MA hotel well fed. 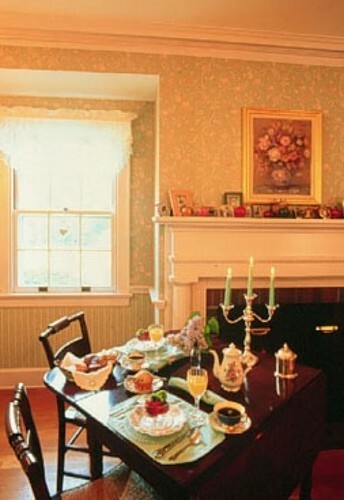 And of course, we hope you like the blueberry buckle and Baked Stuffed French Toast at the Applegate bed and breakfast. The concierge at our Berkshires bed and breakfast can also direct you to the best place to stock your picnic basket when you are heading to Tanglewood. Opening night is two months away, and it is not too early to reserve your tickets for Diana Krall on the 4th of July, or plan your visit to our Berkshire b&b.